I like to think that running a recording studio is sometimes like that scene from the ‘Ghostbusters’: everyone’s slacking and killing time.. 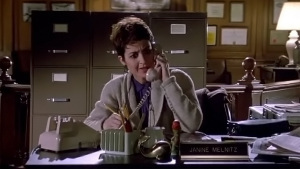 Phone rings, Janine takes the call and all of a sudden she can’t believe it: “We got one! !”, she screams out of her lungs while smashing that red alarm button. I felt like that whenever an unexpected gig comes up (minus the big alarm button which I am very dedicated to find, so let me know if you know where to get one). Something like this happened recently, when a stoner rock trio called me asking for help. The problem was not a ghost but rather the sound of their electric guitars. Their new EP is done, they’ve been mixing it themselves for almost a month and - after some attempts - they decided they just cannot get the guitars right. 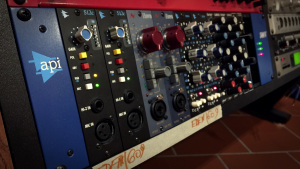 Being on a budget, they used plugins and amp modeling software but now they decided they want something real. The plot thickens when they tell me that a label is looking to sign them. They have a shot and they don’t want to blow it. It’s time to make those guitars badass. This is the scene in the movie where you shout and smash the red button. Before a single mic is placed, ask yourself this: what role will the guitars have in contrast with the other elements? There will be drums, bass, guitars and lead vocals. The singer is also the guitarist, so when playing live they have that “one-guitar” sound. Not a problem, but on the recording they want to be able to go wide. In this kind of ensemble, guitars dictate - left to right - the warm, watery soundscape in which all of the other elements will swim. The relationship between all the elements rules the general feel of the whole album. For this record we decided to go wide with the guitars and have drums and bass focused in the center. 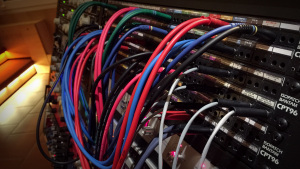 This allows us to create a contrast occasionally with single guitar tracks, powerful break-downs and so on. It’s stoner rock, there are almost no rules but the tradition is strong. 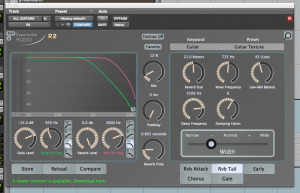 not created different-sounding guitar tracks: same plugins, same virtual settings for miking, distance, placement etc. We even tried to use two different guitars but then found out that the one sounded better than the other. 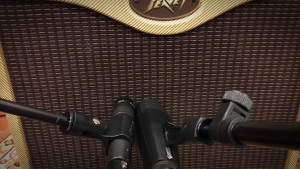 We were already getting enough variety from the two different amps and the total of four microphones on them. 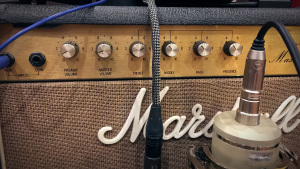 ..there are many like it, but this one is mine.” It’s true: guitarists have a thing for their own gear (including amps) as they are indeed part of their sound. 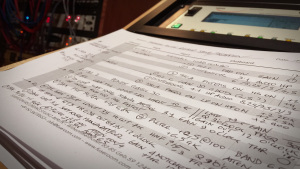 With studio recording, however, they are often willing to test new things and give the resident amps a try too. After some time testing different tones, we decided to go for a Marshall Master Lead Combo and a Peavey Classic 30. The first one is a solid state amp, the second is a tube amp. Any overly-critical person in this field is going to predict failure: The solid state amp “is just a wannabe-badass amp” and the Peavey is a hybrid of a VOX and a Fender Champ and “it’s just not suited to be heavy.” Well, I disagree with such overly-critical minds..there is nothing wrong with the lesser known, dirty and broken amps that you can find around. In most cases I had better luck with those than with the heavy hitters. In addition to that, as part of the secret recipe, we threw in a Morley JD10 pedal before the Peavey and a vintage ProCo RAT pedal before the Marshall. 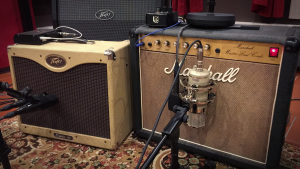 Once we were happy with how the two guitars sounded in the live room I started throwing microphones at the amps. When using two microphones to capture the same source what you want is diversity. Think of it as two people telling you their own version of the same story. Generally, I like to use two identical microphones (changing the distance from the source) or two very different ones close together. This time I was not looking for distance and air, but rather in-your-face tone. This left me with only one choice: two microphones with a very different sound that can complement each other, placed close together. 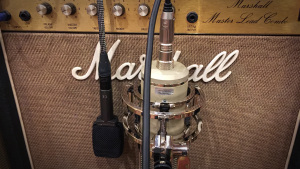 On the Marshall, I picked a Sennheiser 606 (dynamic) and a Lauten Eden (tube condenser). They were very close to the grill and roughly staying around the edge of the center dome. For the Peavey, I chose a Shure SM57 and a Sennheiser MD421. A popular combo..they are both dynamic microphones but have a very different sound. I placed the 57 around the edge of the dome and the MD421 almost dead center. 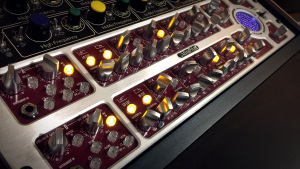 I decided on API 512c preamps for the 606 and the Eden, I padded the latter on the preamp and cranked the gain. I used the Eden’s HP filter but kept it on Cardioid and Neutral and used no pads on the mic. 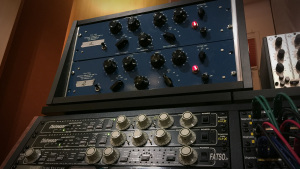 The 57 and 421 were plugged to a Mindprint DTC, using the filters and a bit of EQ to fine tune the sound. In both cases, I spent no more than 30 seconds to audition each microphone. To me, those were simple two amps, two guitar sounds. Only now that I’ve made my approach clear, I can let you listen to how every single microphone sounded. Hear how the Eden sounds full of depth, natural and complete (but darker and thicker), while the 606 has attitude and a more personal opinion? Hear how the 57 has that well-known bite while the 421 is offering that sandy high-frequency content from the position he’s sitting at? There’s no right or wrong, they’re all contributing constructively to the story. Moving on, I decided to add a bit of drive and momentum..and compressors are great tools for this, even if distorted guitars don’t have a huge dynamic range. It’s not about the compression (which stayed at 3dB tops, in some passages) but more for the change in presentation and tone. The Eden and the 606 went to two different Distressors, the 57 and 421 went to the two channels of a Dangerous Compressor. Since I had the Dangerous BAX EQ in line right below that, I could not resist the temptation and added filters and a tiny bit of high shelving. And this is how they sounded in the mix. To achieve the above, my first method is EQ. My second approach involves multi-band compression. The purpose is the same but it’s done through a more subtle and intricate number of variables. Here, attack and release times, crossover frequencies and many other parameters play a major role. I’ve been using the Waves C4 for so long that I know it very well, so I tend to resort to it. If I need more bands, I usually dial in one after the other. At this point the guys in the band had a better feeling for the latter version, so we opted for it. This style is generally very dry and you might think reverb would never work..but FEELING dry and BEING dry are two different things. Here I used R2 by Exponential Audio. I printed a version in which I am muting the guitars so you can hear the reverb tail. And now let’s hear the guitars by themselves and in the mix, with this added effect. In the first example I chose to let you hear to the left guitar only. 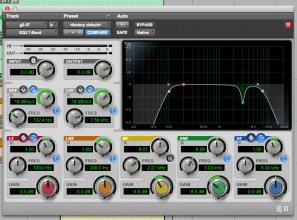 This makes it easier to hear the kind of blend that the reverb is imparting to the whole soundstage. The added space and body make the track more finished, but the raw sound can be perceived as more aggressive. 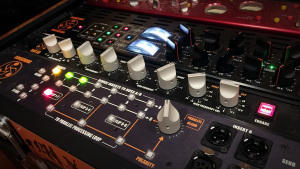 In my opinion the best way to make use of this is often to selectively open the reverb in choruses and other specific parts, while keeping the general feel dry. The day is at an end, the guys that had come in the studio questioning their guitar tones are now leaving all pumped up and can’t wait to have their sit down with the label. We saved three young and passionate guys, 3 good songs, some genuine playing and most importantly, the sacred ghosts of past, present and future rock music are pleased with our work! As you noticed if you've read other articles on pureMix.net, I always go for full disclosure to let you know who played what and when. In this case I have to make an exception as the band requested I keep it under the radar, given their imminent meeting with the label. I got the green light on releasing the stems, but that's about it.. for now. I am sure we're all sending the guys our best vibes and we'll be waiting for the good news! Now download the stems, have fun and mix some Stoner Rock! Alberto Rizzo Schettino is a pianist, synth head, audio engineer and part of the Puremix family since 2013. He is the owner of Fuseroom Recording Studio in Berlin and also works as a product specialist for some of the best brands in high-end audio gear.